Yes, that’s the actual Matterhorn behind me, not the fake one I grew up riding at Disneyland. Here’s that official-sounding bio you might have already noticed on each and every page of this site: Angele McQuade is the author of two books, including Investment Clubs for Dummies. She writes the monthly Book Value column and feature stories for BetterInvesting magazine and also writes novels for children and young adults. Angele is represented by Jennifer Laughran of the Andrea Brown Literary Agency. But we’re all friends here, so let’s ditch the official-ese and get right down to the fun stuff. What else would you like to know? I was born and raised in sunny Southern California, a climate not exactly suited to my decidedly, um, not Malibu Barbie-esque complexion. I attribute both that extra-pale skin and my unusual-for-California-in-the-70s name to my French-Canadian parents, who hated the cold so much they actually fled their home country before getting hitched and having a bunch of kids in the good ol’ USA. After graduating from the University of California, Irvine (Go, Anteaters!) with a degree in English, a minor in Women’s Studies and a brand-new husband, my surfer boy (er, scientific scholar) and I departed the O.C. (okay, no one actually called it that back then) for five years of the wintry, cheese-centric glory that is Madison, Wisconsin. Yes, my parents laughed that I was making their migration in reverse. We spent similarly chilly yet charming years in Cambridge, Massachusetts and Ithaca, New York until we (by then four in number) threw down our snow shovels and hit the road for the warmer climes of North Florida. Badgers were replaced by alligators and armadillos, hemlocks by Spanish moss-draped live oaks, and omnipresent cloud cover by enormous, nearly blindingly blue skies. In the summer of 2013, after an awful lot of German lessons (Ich spreche jetzt ein bisschen Deutsche!) and a year filled with lovely experiences and even lovelier German friends, we set off for the Washington, D.C, area on yet another completely unexpected adventure. Four years later, we moved slightly south to our current home in historic Richmond, Virginia–our very first move within the same state instead of our typical relocation across the country, or even an ocean. During those shivery years back in Wisconsin, I worked for the syndicated public radio show Michael Feldman’s Whad’Ya Know? (my very favorite job other than my current one as writer). While living in Cambridge, I was a staff writer for Investorama.com, producing among other topics an almost unimaginable number of articles about insurance. Ask me about kidnap and ransom insurance if you’re ever curious–seriously, it’s a completely fascinating topic! I’ve also published two books about investing (including Investment Clubs for Dummies, which Barron’s named one of its “Best Investing Books of 2002”) and written more than three hundred articles as a monthly columnist and feature writer for Better Investing magazine. I’ve been interviewed on public radio (twice!) and by numerous publications including Consumer Reports, the Chicago Tribune and CBS Marketwatch. While personal finance and public radio remain great passions, my deepest writing (and reading) love is reserved for middle grade and young adult novels. 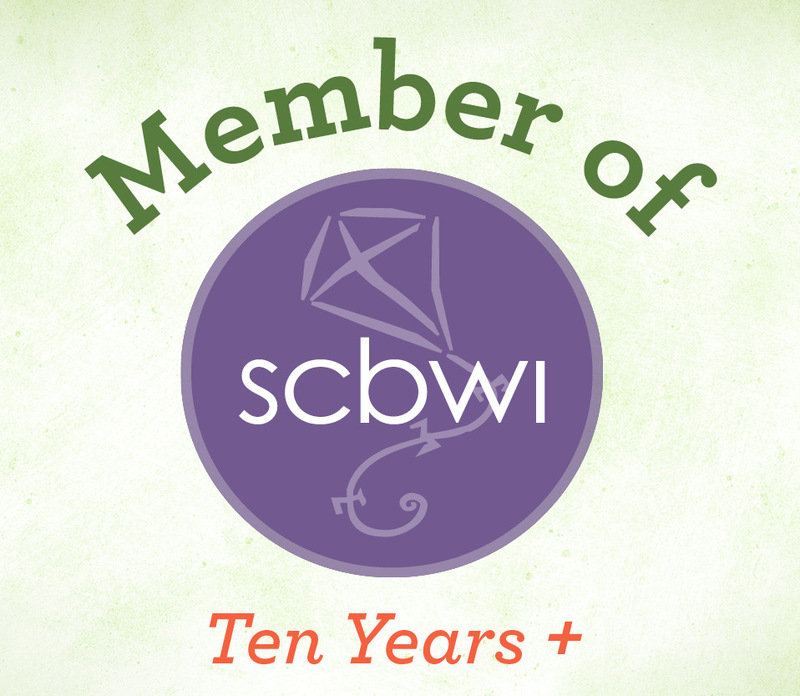 I’m a long-time member of the Authors Guild, the Society of Children’s Book Writers and Illustrators (SCBWI), the Romance Writers of America (RWA), and the spectacularly fabulous Young Adult chapter of RWA (YARWA–say it like a pirate!). When I’m not busy with my own writing, I also teach writing and money-related classes (sometimes even classes about writing and money) and lead Word Walks for writers, artists and other creative types. Otherwise, I keep myself entertained with most things domestic and many things crafty or creative (among them handwritten letters, hand-made bookmarks, hand-carved rubber stamps, and hand-bound books). My two latest creative goals are to learn to play The Rainbow Connection on the mandolin that’s sitting so lonely-like in my closet and also to crochet a Totoro amigurumi. Anyone want to give me lessons in either? Way back in the 4th grade, I wrote a report about whooping cranes and their declining numbers. That set me on a decades-long quest to see an actual whooping crane in the wild, a dream which has now come true twice in the past few years. The first time was in my very own neighborhood in North Florida (I know, I couldn’t believe it either!) and the second was in coastal Texas. That sighting required a boat. My first job in high school was as a hostess at Cattleman’s Ranch restaurant. My original manager encouraged me to wear short skirts and smile widely at the male customers while escorting them to their tables for bargain-priced filet mignon and garlic chicken. He was fired shortly thereafter and replaced by a chain-smoking woman named Faye. Still aching for more random facts about me? Okay, how about this: I’ve visited all but seven* of the fifty United States. I still have the whole Pacific Northwest left to explore, so I’m open to any invitation that will bring me there. And if you want to invite me along on your next writer’s retreat in Scotland, cruise to Alaska, or letterboxing adventure in North Dakota, it’ll only take me a minute to pack. And there you have it–(just about) everything that’s worth knowing about me. If there’s anything you think I missed, feel free to ask! *States still on the “not yet visited” list: Alaska, Idaho, Montana, North Dakota, Oregon, South Dakota, and Washington. And don’t ask me how a California girl has yet to travel farther north up the west coast than Marin. No, really, don’t–it’s kind of embarrassing to admit, to be honest.